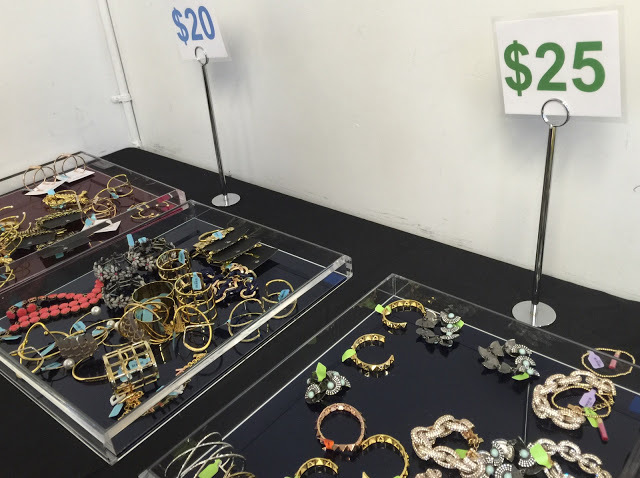 UPDATE: Now extra $5 off sale prices. 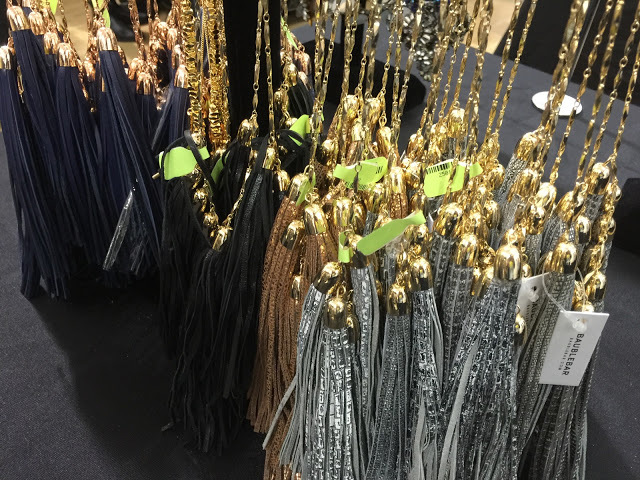 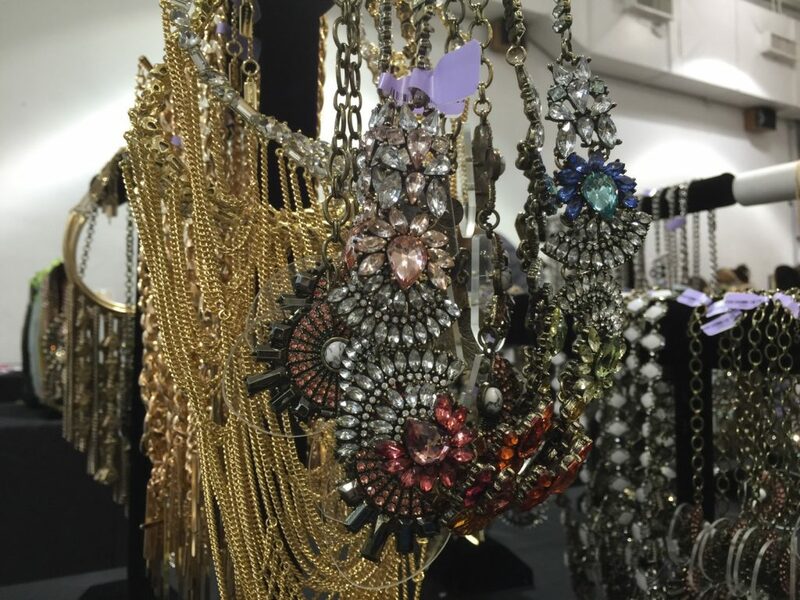 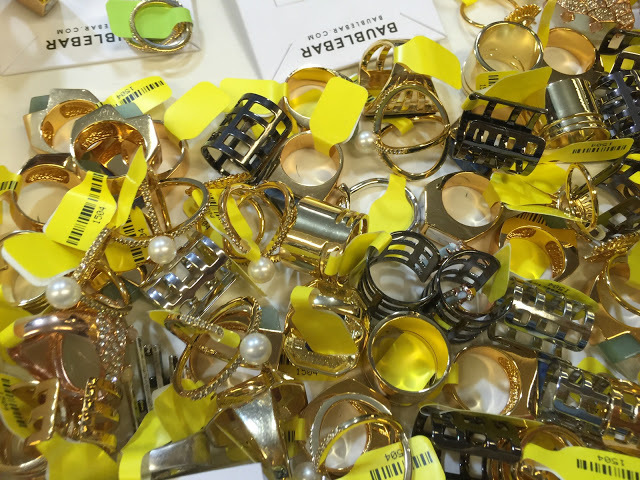 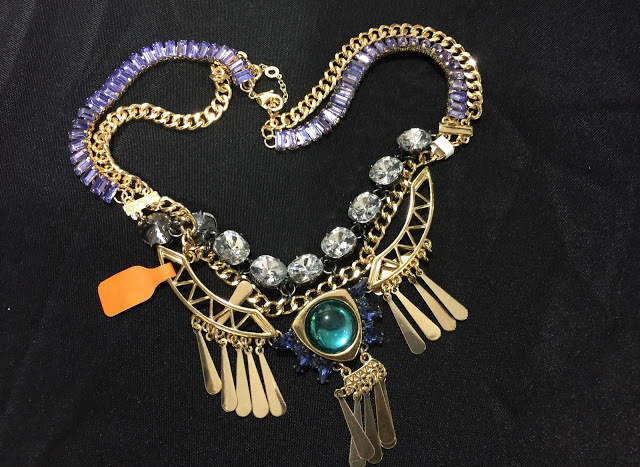 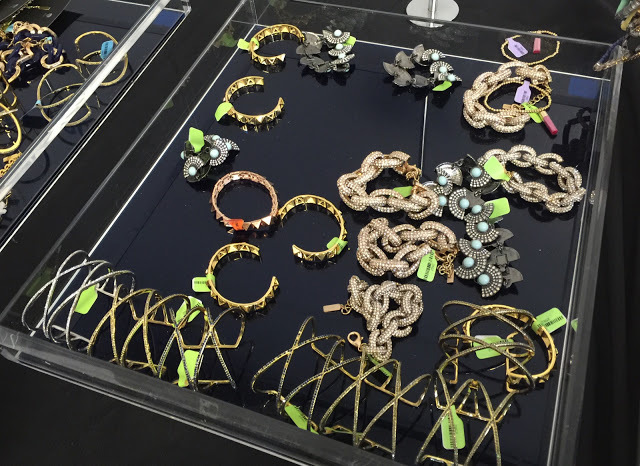 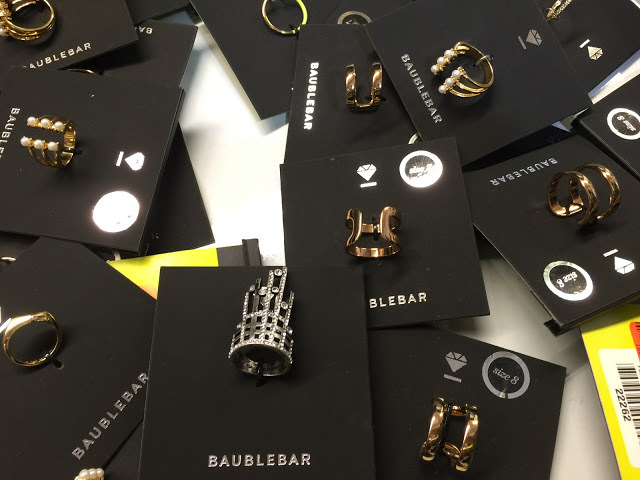 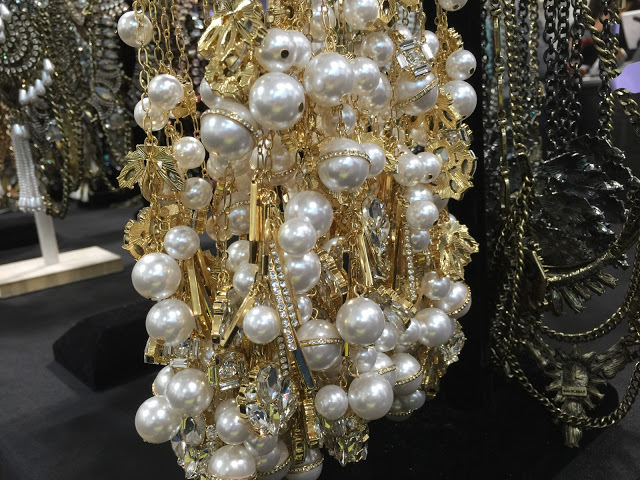 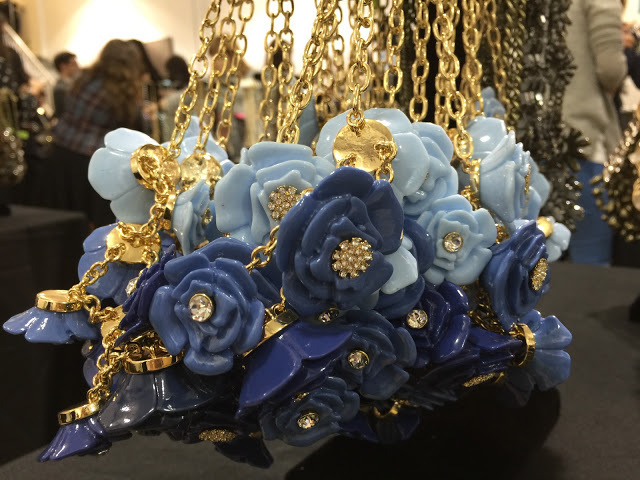 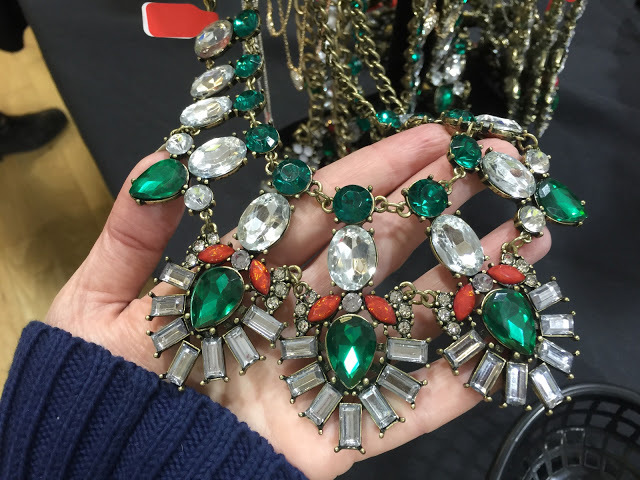 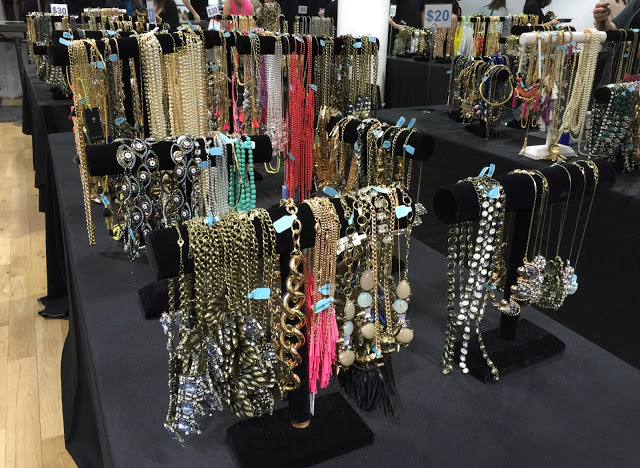 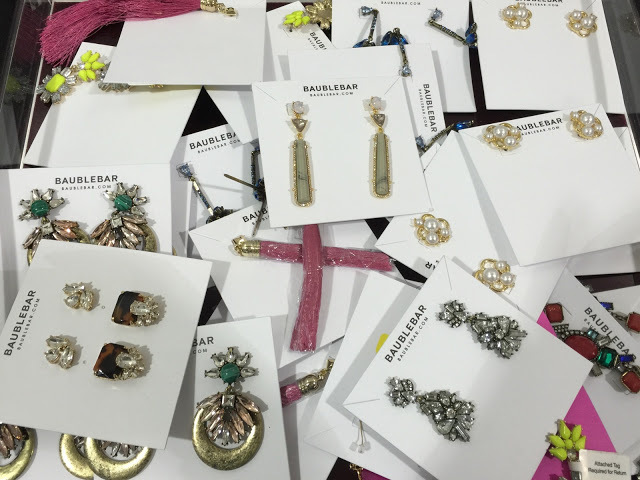 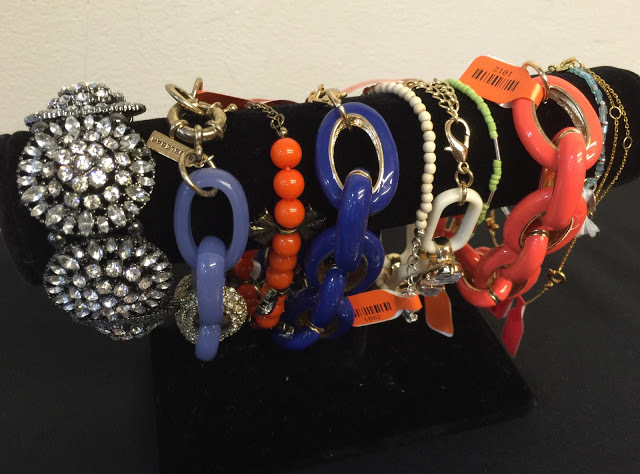 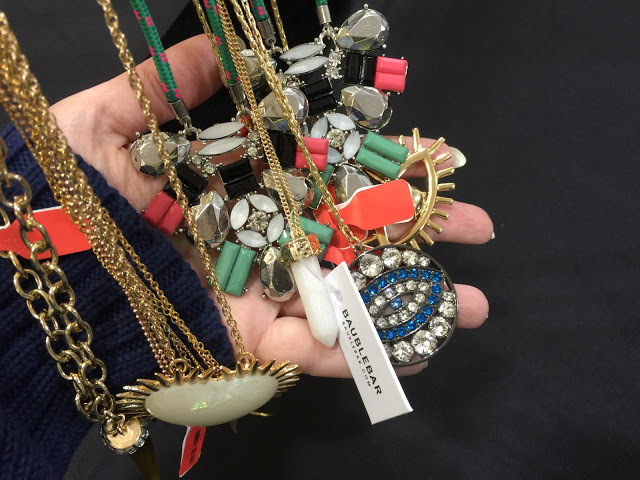 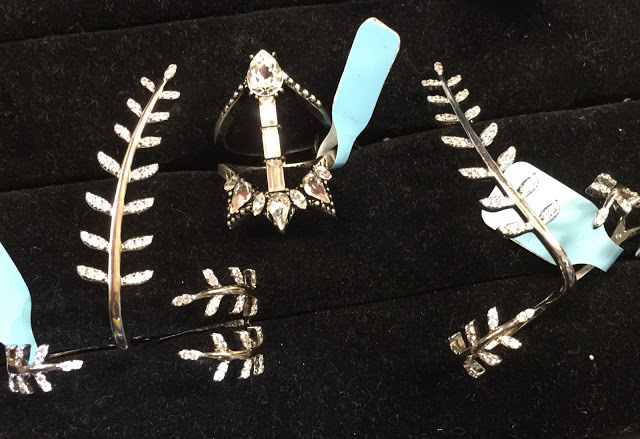 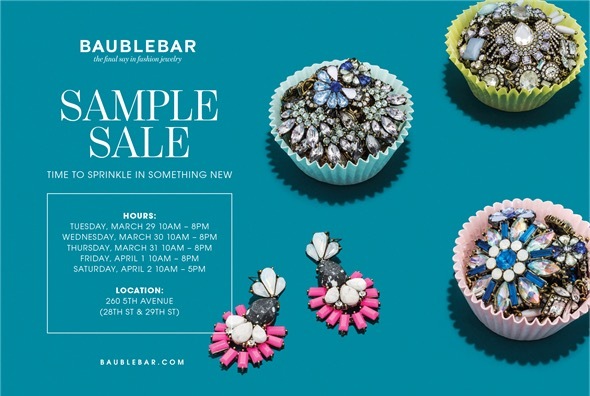 On Tuesday morning Baublebar‘s Spring sample sale officially opens it’s doors to the public. 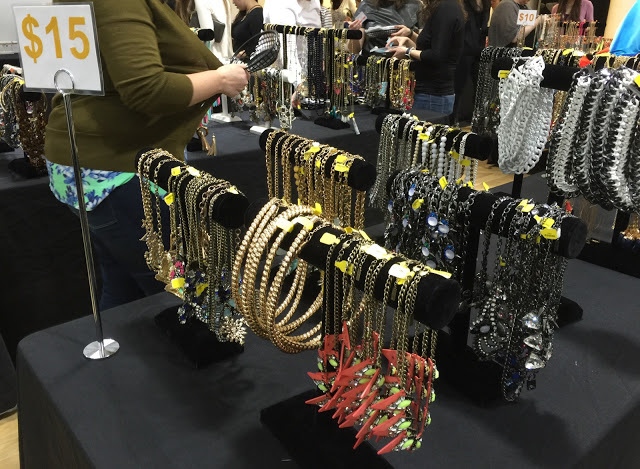 The always popular sale is known to draw a big crowd and even the press preview last evening saw a huge turnout. 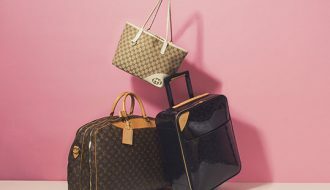 So be prepared to wait in line both to get in and to pay. 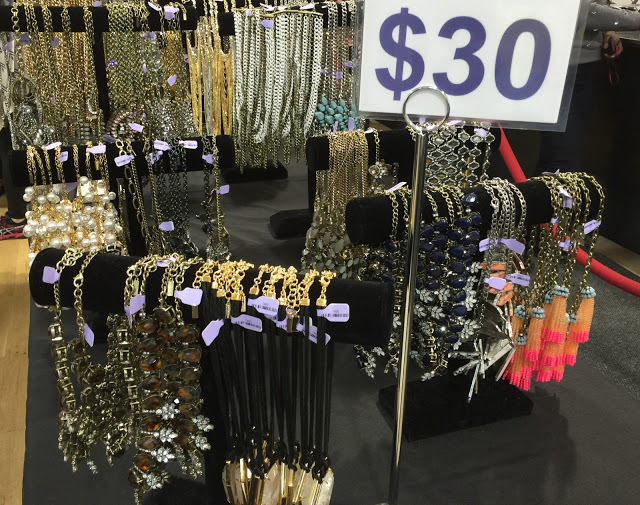 Fans of the brand will be happy to know that pricing has not changed much since last year’s sale and all jewelry is priced $30 and under. 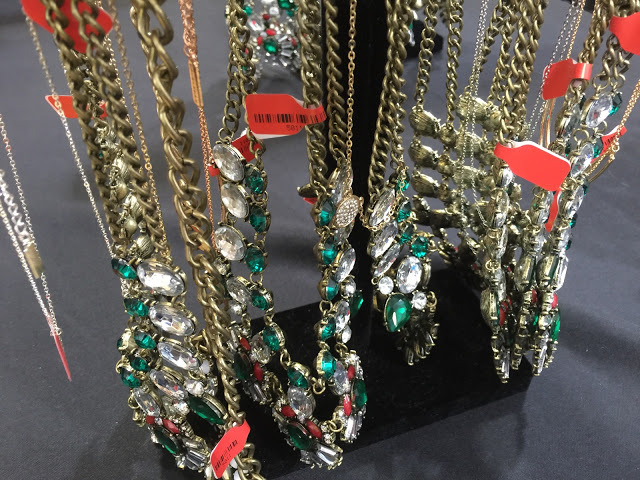 The friendly staffers will help with any questions regarding jewelry or just general buying advice and every table sports a mirror for your viewing pleasure. 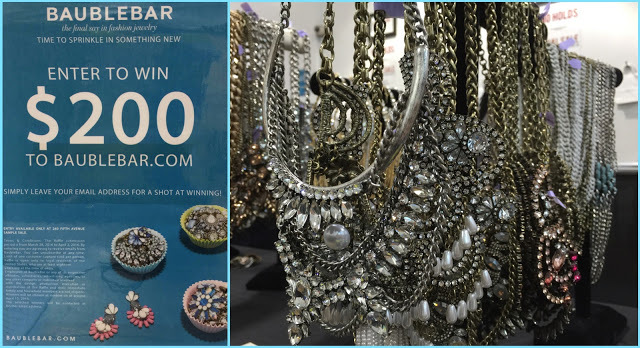 There’s also a giveaway for $200 gift card! 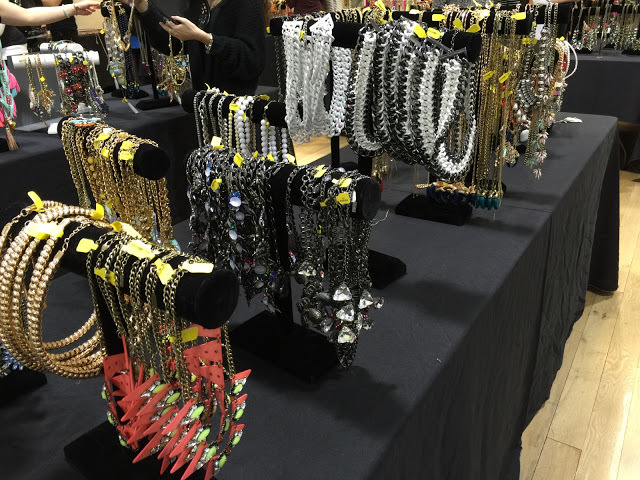 After the obligatory coat check be sure to grab one of the black plastic trays as it’ll come in quite handy to carry your haul. 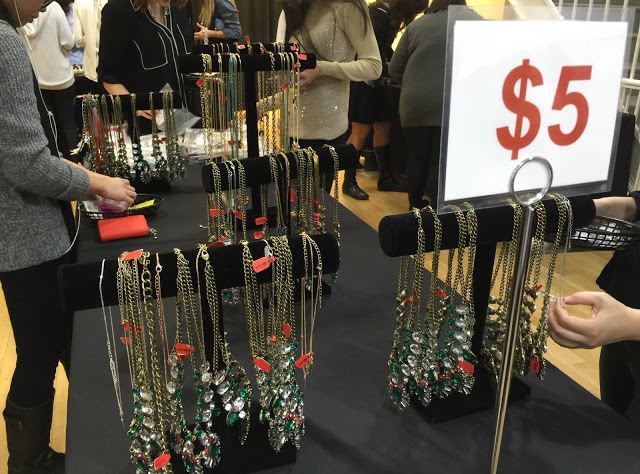 Tables were organized by price and each piece of jewelry had an individual color coded sticker because let’s face it, things inevitable get moved around. 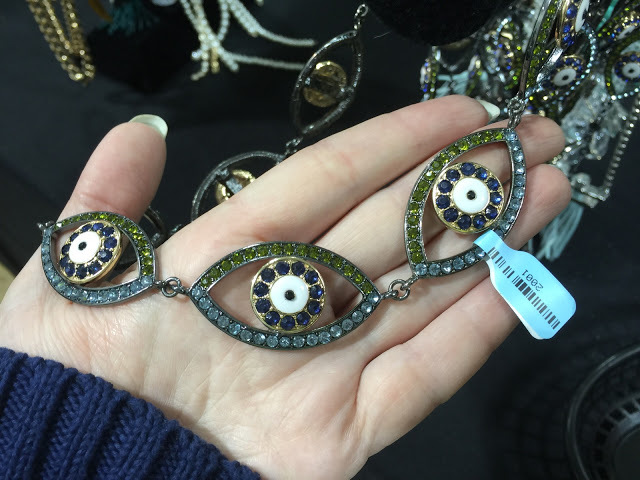 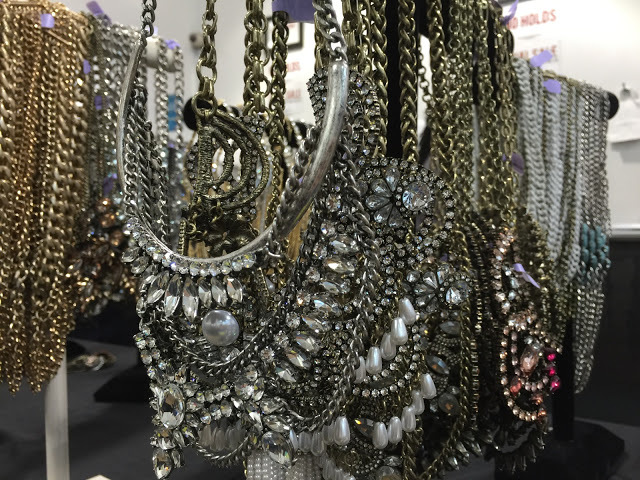 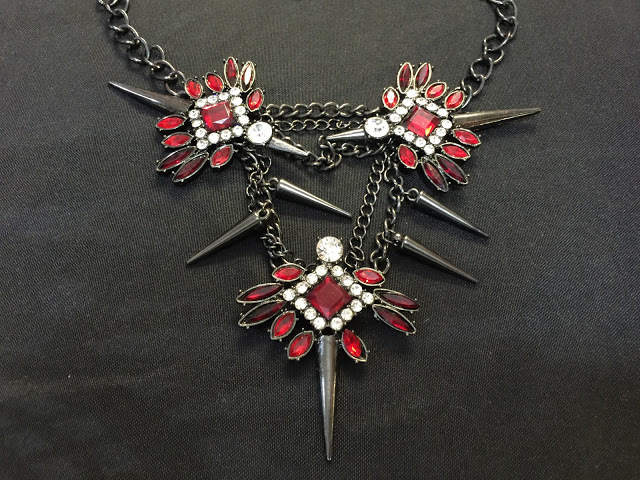 Statement worthy necklaces were the stars of the show and some styles even started at only $5! 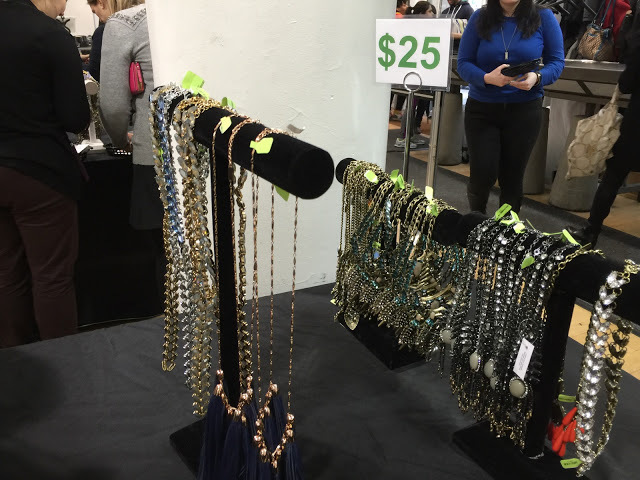 Opposite the coat check and closer to the entrance you’ll find the more “pricy” $30 and $25 necklaces. 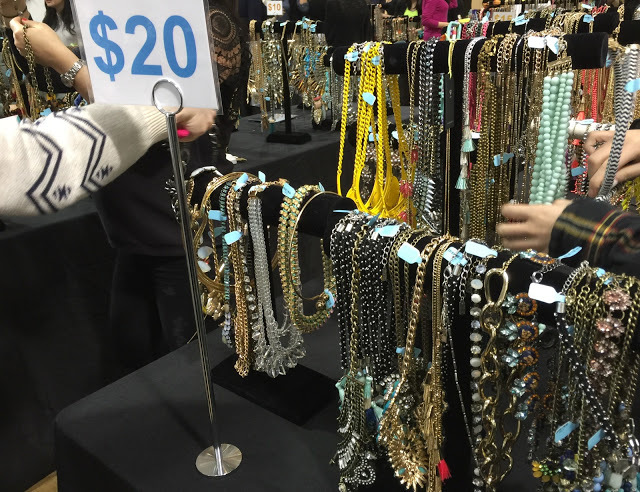 Moving towards the back you’ll see prices range from $15 to $5. 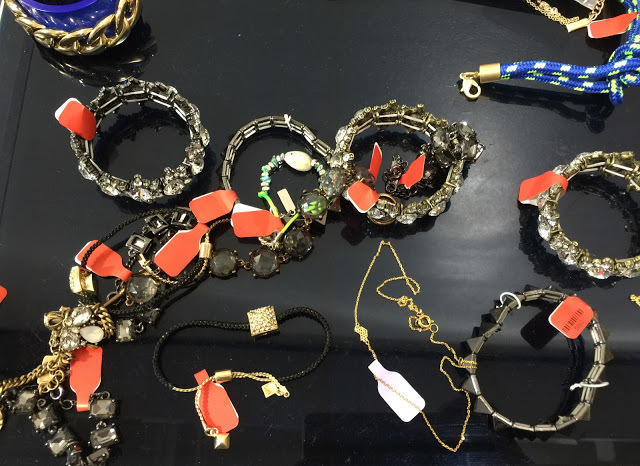 A word of caution regarding damages: while most items were in pristine condition I did see several necklaces with missing crystals or broken chains/links so please inspect everything thoroughly. 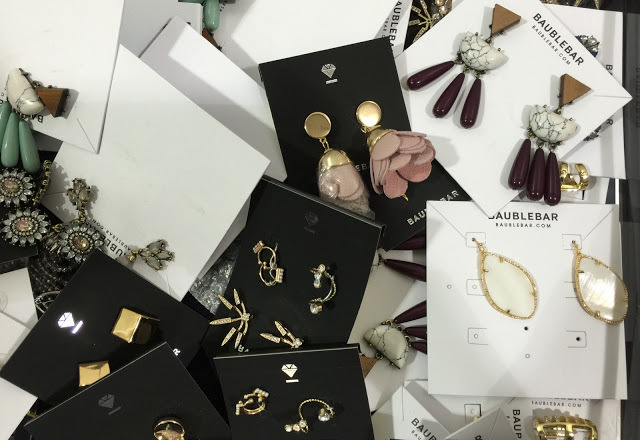 The damage was definitely due to certain overzealous shoppers dropping things, which happened quite a few times while I was there. 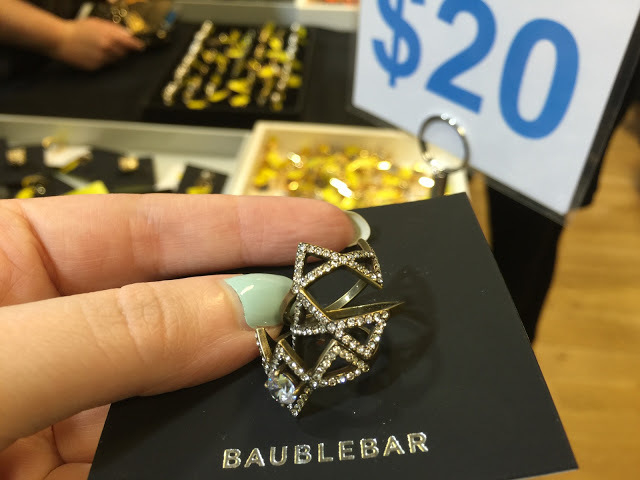 Many pieces also happen to be on sale at Baublebar’s online store and it is definitely worth it to do some price comparisons. 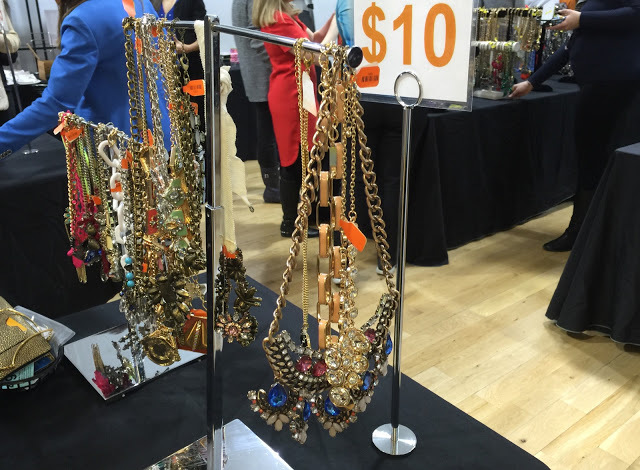 Several necklaces priced at $30 or $25 at the sample sale are about $3-$5 cheaper online. 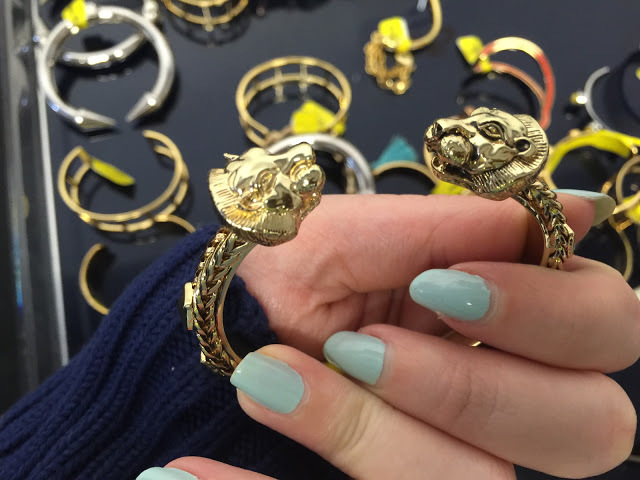 While it’s not a significant difference it is worth to keep this in mind. 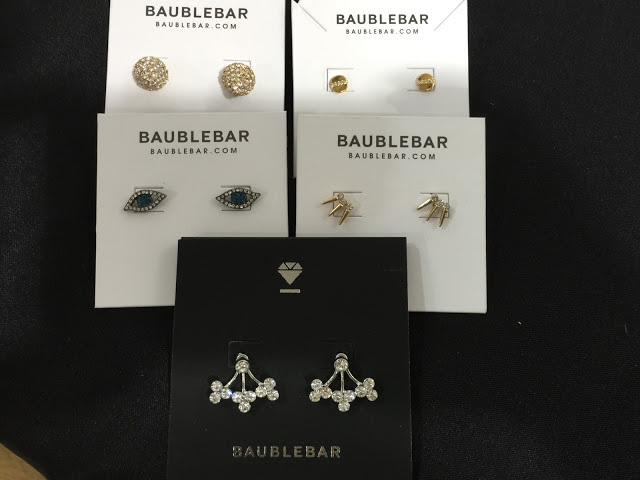 Earrings could be found along the wall on the left hand side with average prices of $10-$15. 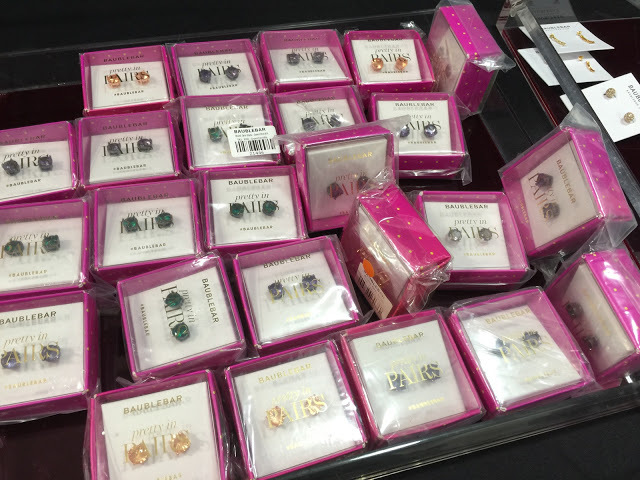 There were plenty of bold fashion pieces like Petal Drop and Aurora Drop earrings. 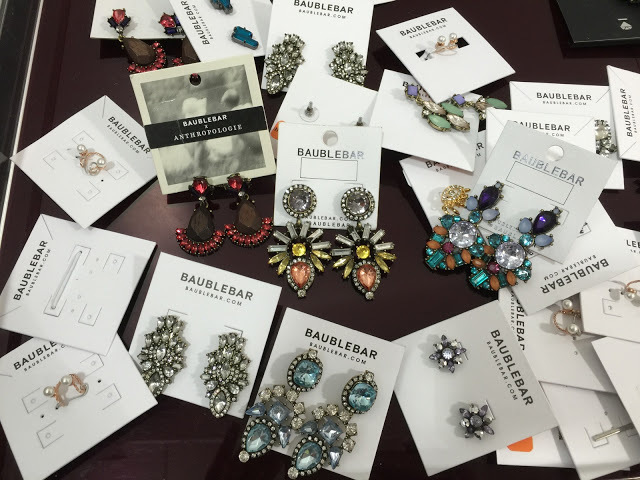 Although those looking for simpler and more demure (at least by Baublebar standards) options will be able to find something as well. 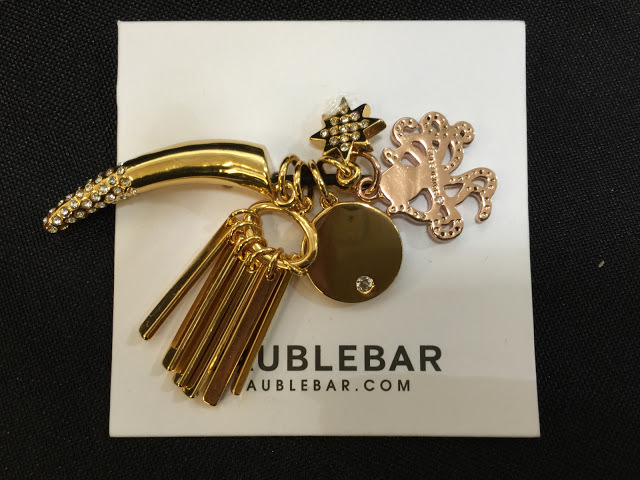 Please check the fifth photo for some examples. 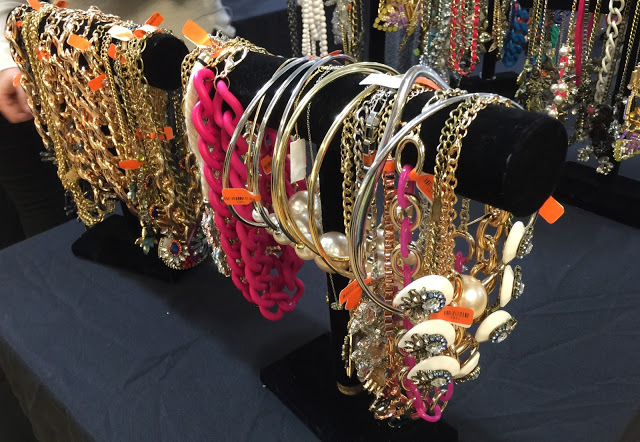 Past the earrings you’ll see trays of bracelets with prices starting at $5 for simple styles and going up to $30 for Garland Bracelet Gift Sets. 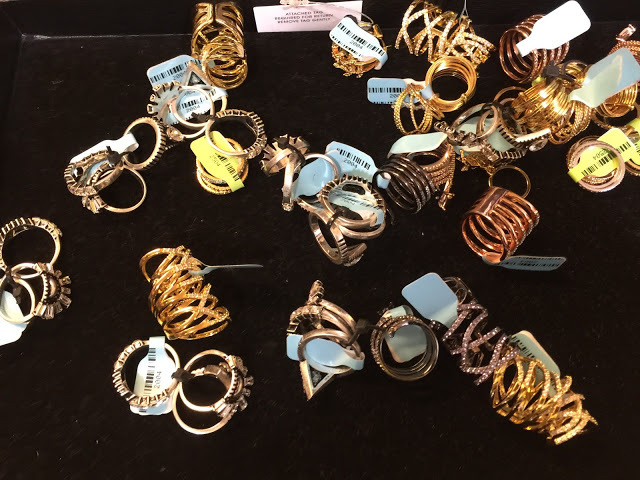 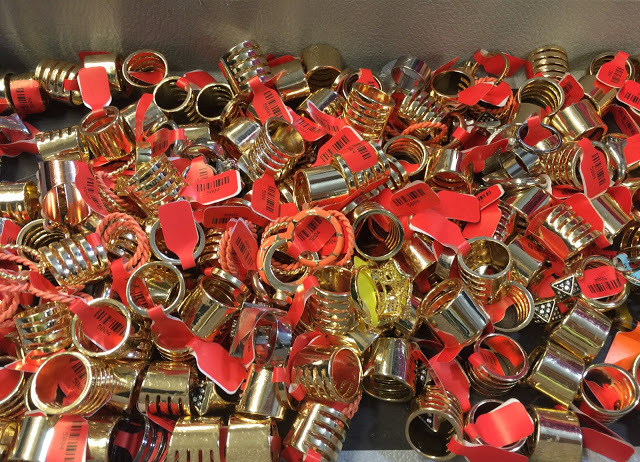 All the way in the back you will find rings and accessories. 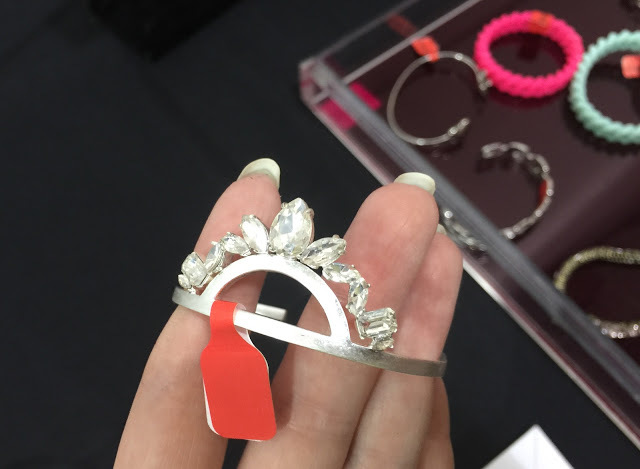 Prices started at $5 for the more basic styles and went up to $25 for the large two finger and cocktail rings, like the Empire Ring and Peacemaker Ring that really caught my eye. 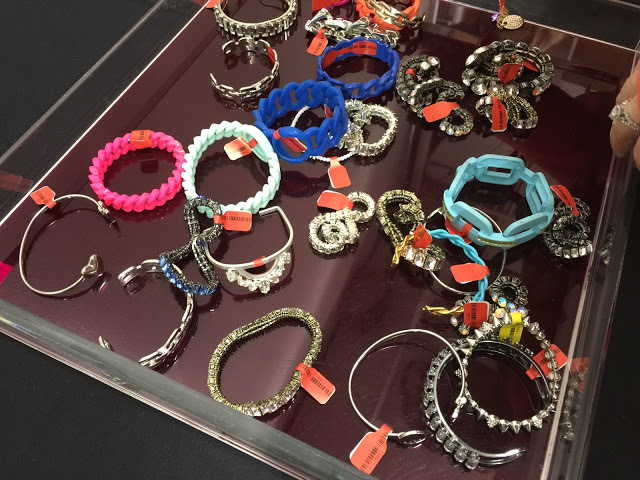 Those looking for accessories should check by the registers although the selection was lackluster compared to previous sales. 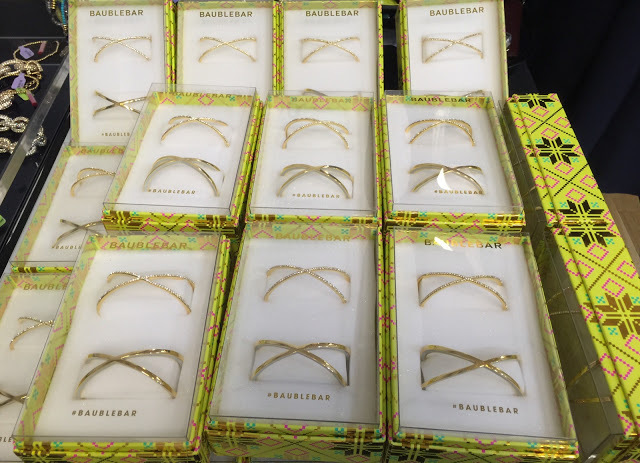 There were no Stila X Baublebar bargain gift sets but they did have a couple of Benefit X Baublebar sets for $25. 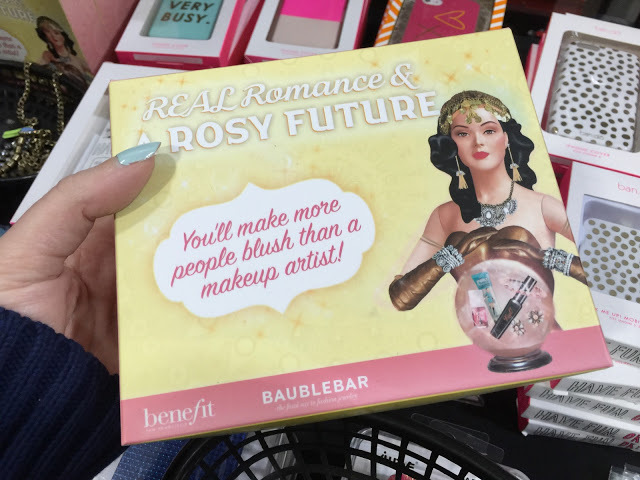 Each Real Romance and Rosy Future set includes Benefit mini deluxe mascara and benetint lip and cheek stains as well as a dainty XO Asymmetrical pendant. 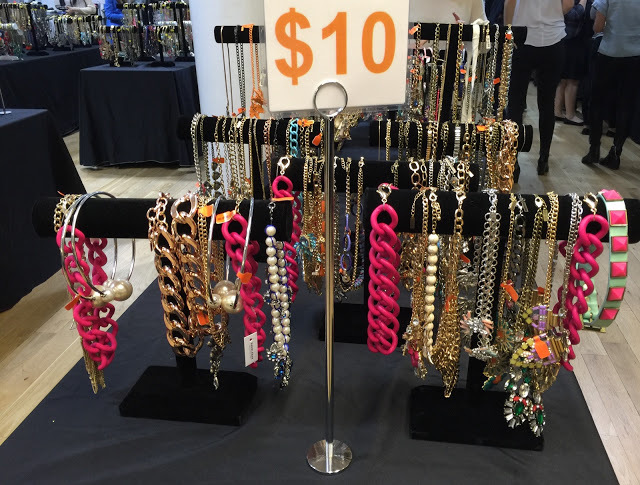 Among accessories I also saw Baublebar black jewelry pouches and iPhone cases ($5), jewelry boxes and Balloon doggy money banks ($10). 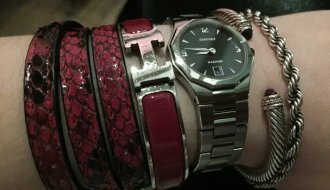 There were also monogram Initial Bar bracelets ($25) and paper/envelop sets ($5), and pencils. 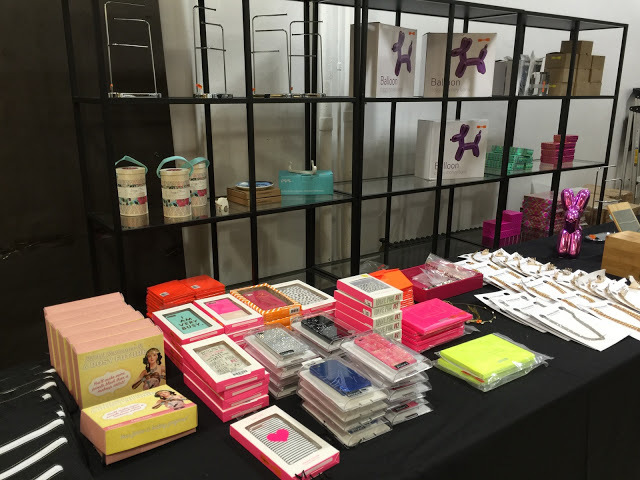 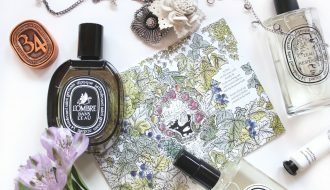 All gift sets (the ones that come in boxes) had pretty limited inventory (as you can see in the photo below) and are unlikely to be restocked. 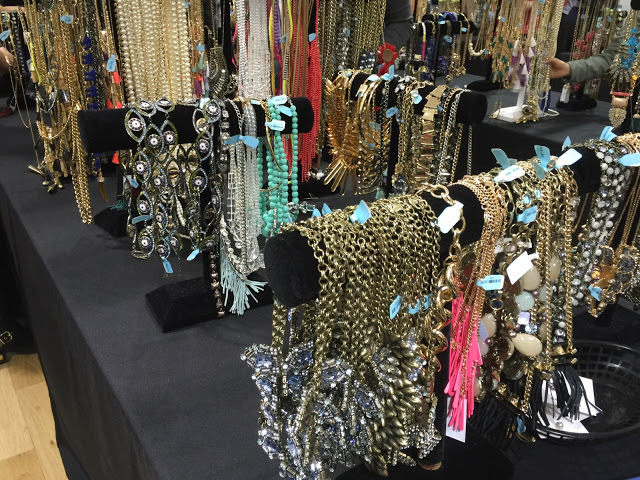 BOTTOM LINE: The sale is chock full of cute statement necklaces and with prices starting at $5 you really don’t need to think twice. 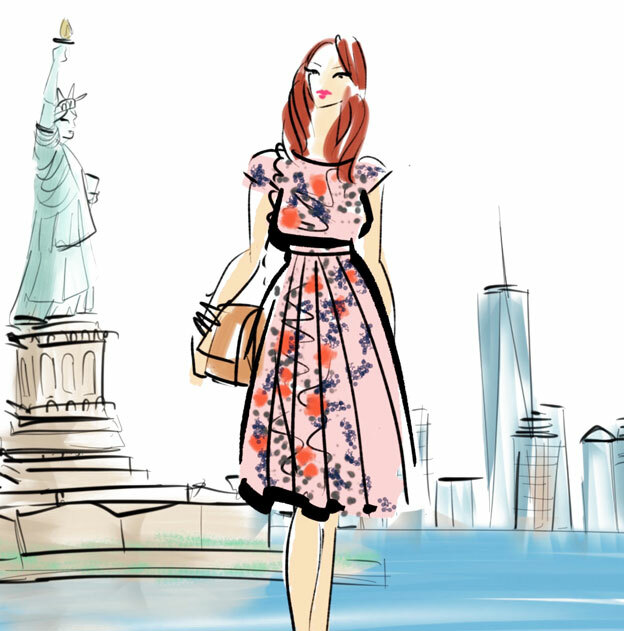 Expect large crowds especially on day one and during lunchtime/after work. 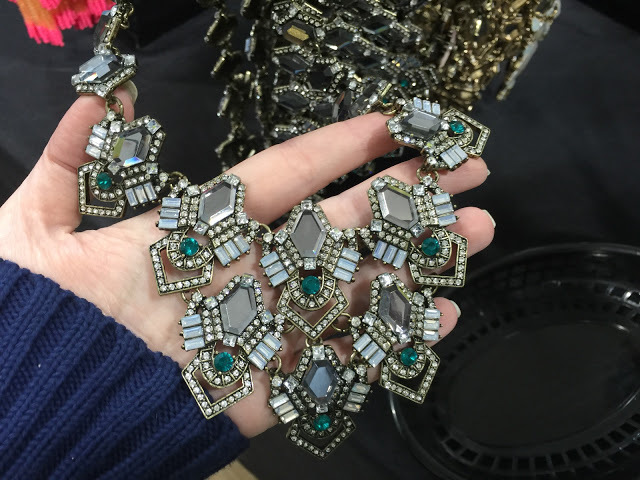 Definitely try to price check and inspect each piece before buying. 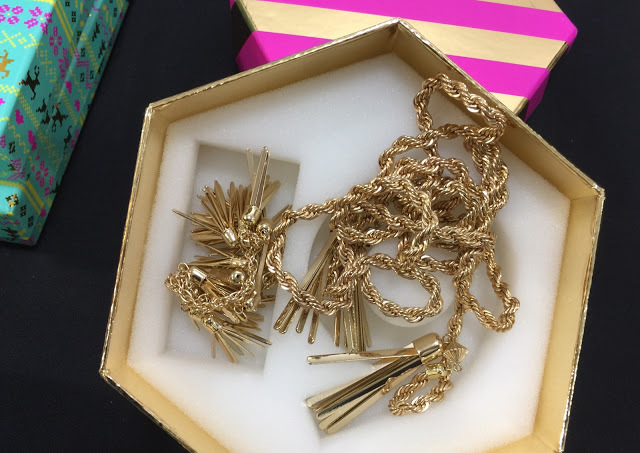 Like I mentioned earlier it’s rare to see damaged items but it does happen and particularly with the general public mayhem it’s likely that more pieces will get damaged in the process. 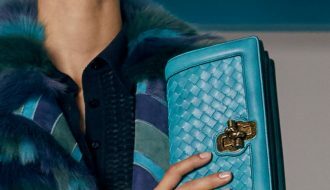 Additional discounts are possible towards the end of the sale but the more interesting trendy pieces are likely to be sold out by then. 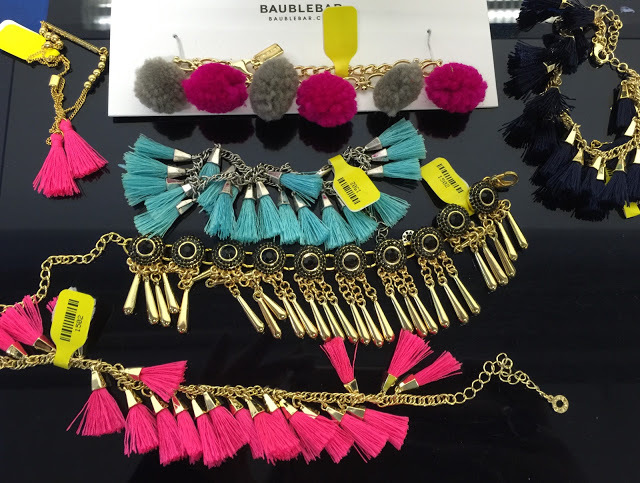 Don’t forget to enter the giveaway for a $200 gift card to Baublebar and happy shopping!